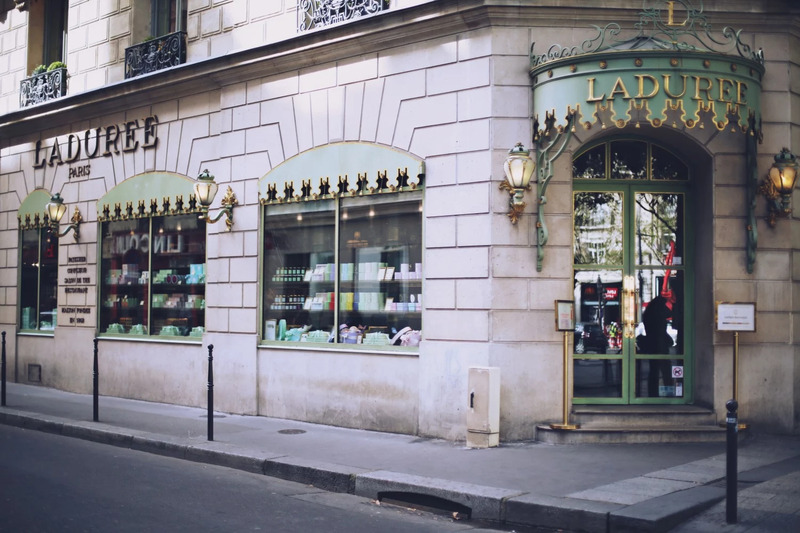 The classic Parisian stop - Ladurée for some coffee and pastries. 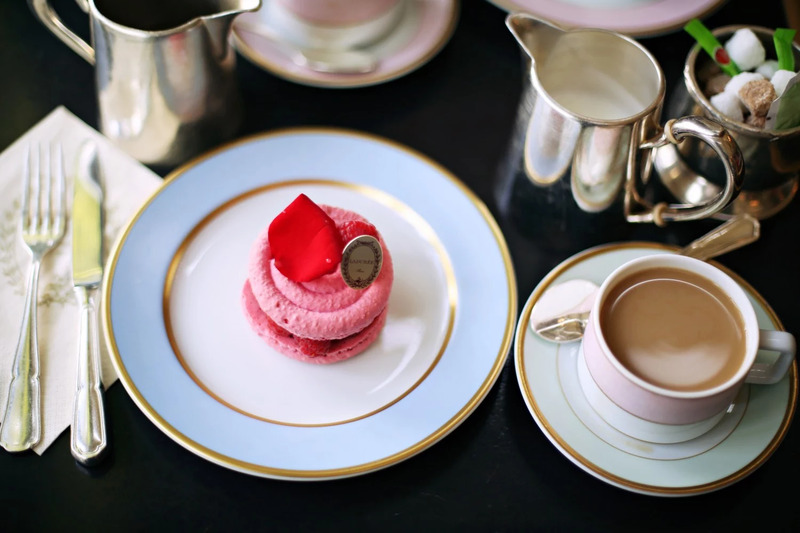 I love their big rose macaron with raspberries - mostly because it's so pretty! Then shooting some looks and then time for Rochas. Taking in every moment, can I never leave please?